This is the spot where a small river, the Rotte, once flowed through. Here is where the dam was built and where the settlement originated. In 1340, Rotterdam and its 2000 inhabitants obtained town privileges and a town seal. 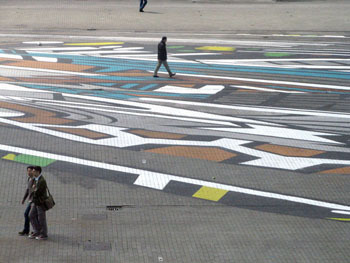 Rotterdam’s origins lie under this square, het Binnenrotteplein. 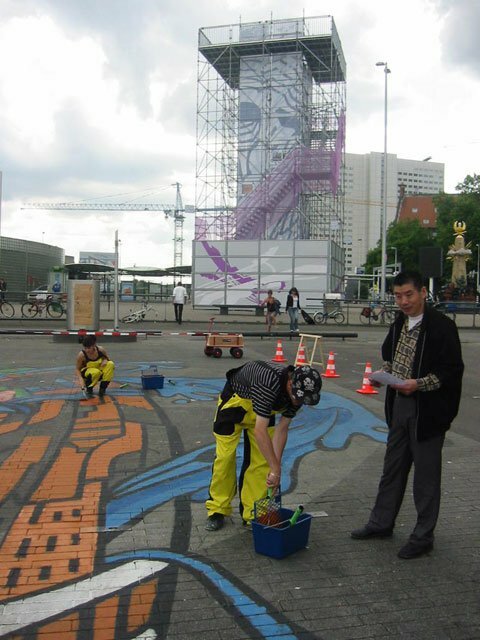 And so we asked Rotterdam artist Luuk Bode to give special visual expression to the importance of this place. It was important to us to develope something that wasn’t static, but that lived and moved like the city and its inhabitants. That’s why we put up the painting like a colouring picture. 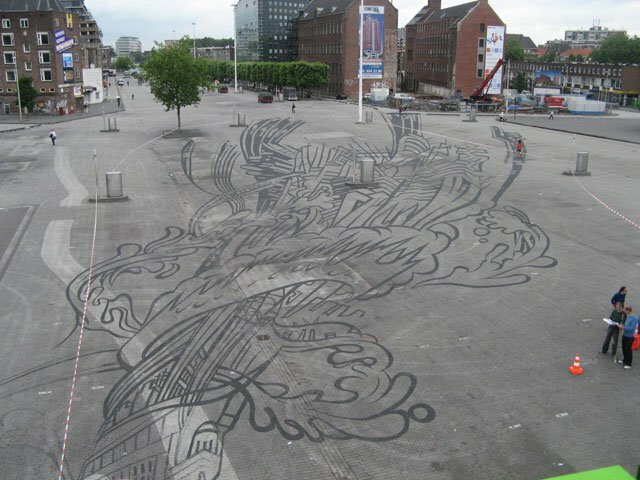 So the Rotterdam people could fill it, finish it and retouch it themselves everyday. 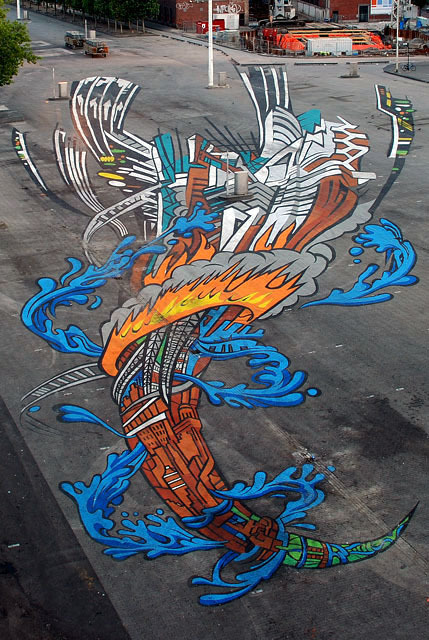 This large, over 2500 square meters ‘Ravensburg’ painting (i.e. painting by numbers) and the information available in the tower show how Rotterdam came into being, how it grew and how it had to fight the waters. The painting shows the explosive growth of the city and harbour in the second half of the 19th century as well as its expanding infrastructure. The ring of fire symbolises the immense destruction that took place here in 1940, changing the city’s countenance completely. The illustrations in the stairwell give a taste of what the painting will show. Rotterdam’s history, its present and its future pass by. Oorsprong Rotterdam/Rotterdam’s Origins is assigned by Rotterdam 2007 City of Architecture.